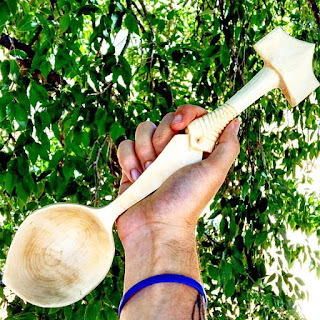 My Instagram buddy RebornFeral had sent me one of his hand carved spoons! This one held particular significance for me as a heathen since the handle is carved in to the shape of a giant Mjolnir (Thor's hammer). It's a beautiful piece, hand carved from sycamore. Following him on IG has really inspired me to practice my own carving skills, something I have wanted to master for as long as I can remember. I will try my hardest not to flood the blog with photos of my terrible attempts at spoons that are sure to come! 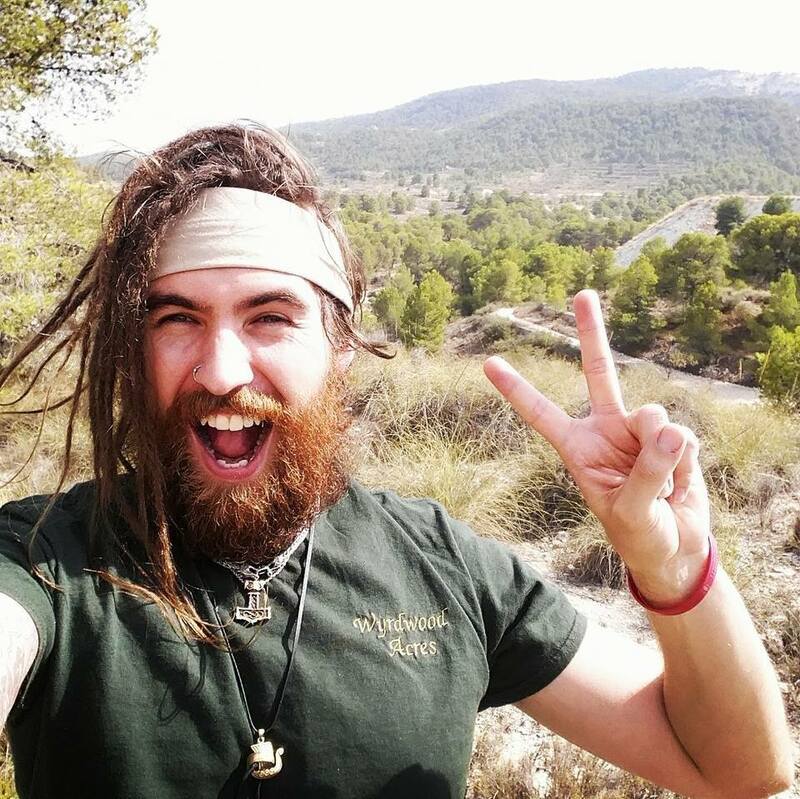 If you use Instagram I highly recommend following RebornFeral for a breath of fresh air, he is an amazing parent, a great carver aswell as a rewilding and barefoot enthusiast! 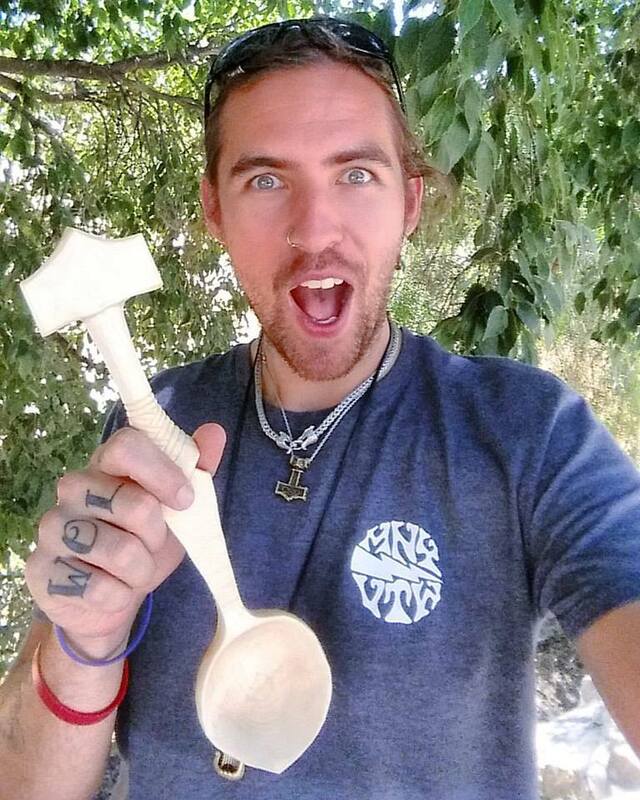 That's an amazing spoon! Have fun carving - even a 'terrible attempt' spoon is useful for stirring the jam (or whatever you will be cooking). Beautiful spooe!! Would you oil it? Is it to be used or for decoration? 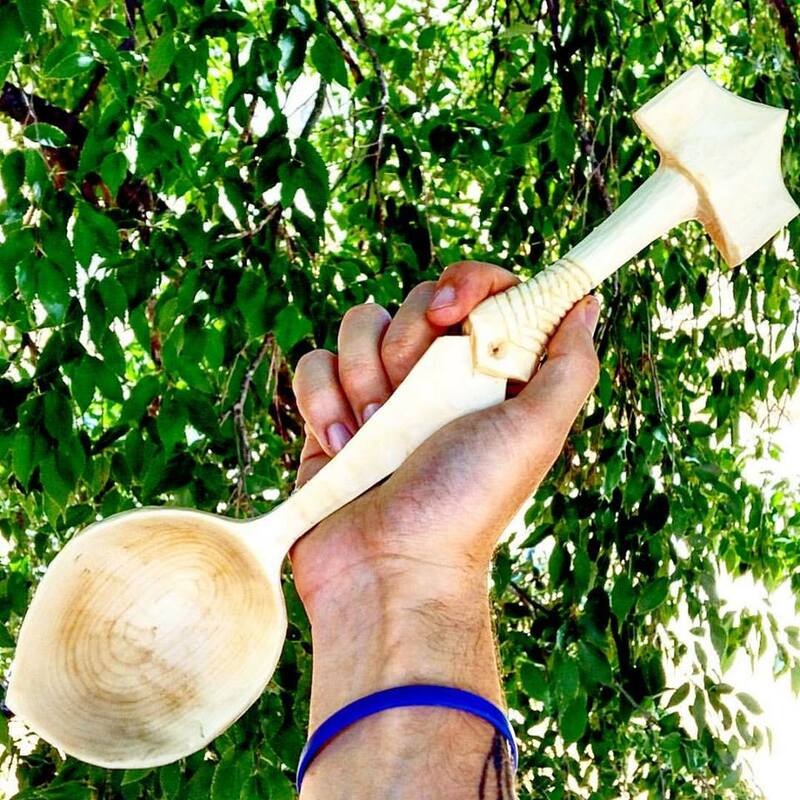 A beautiful spoon, Tricky! What an awesome gift!